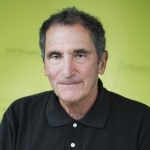 Steve Engelberg is a Managing Director of Cultivian Sandbox and Sandbox Industries. Previously, he was Senior Vice President at Monsanto Company, and a member of the Monsanto Management Committee. Before joining Monsanto Company, he was the Managing Partner of the Washington, D.C. office of Keck, Mahin and Cate. He served in government as Chief of Staff, U.S. Office of the Trade Representative, member of the Board of the Legal Services Corporation and as Legislative Counsel to Senator Walter Mondale. Steve is a graduate of the University of Michigan and Harvard Law School. He also holds a Master’s Degree from the Georgetown University Law Center.